Will my child be able to communicate? Will my child be able to work? Will my child grow up and be capable of leading a full life? A Full Life with Autism answers some of those questions, provides solutions and alleviates some of those fears. The book covers all areas of adulthood including: transitioning, love and intimacy and earning a living. Written from both the perspective of mother and son, Jeremy provides his dreams and goals while Chantal provides the steps taken to help Jeremy achieve them. Each chapter ends with Jeremy's Top Ten Tips and a listing of valuable resources. 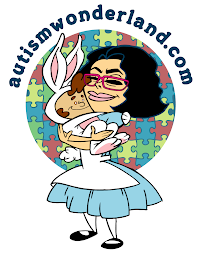 A Full Life with Autism, is a great resource for parents, educators and young adults ready to transition to adulthood. I also believe it may be used as a learning tool for companies and Human Resources representatives looking to maximize on diversity in the workplace. Inspirational, thought provoking and informative, A Full Life with Autism, is a must read for any parent - regardless of how your child is or where they fall on the spectrum. Autism is a spectrum, and the talents, strengths and support needs are different. However, keep in mind that being ready to work doesn't happen overnight for any of us. It's a process that starts when we are young. Whether your child is 6 or 16 - we must believe in their potential. We must teach them, from a very early age that a full life is possible. And a full life, can mean different things for different people. Look at the individual, assess their talents and what makes them happy. We must teach them to have confidence and provide a well rounded education - a combination of academic and work/life skills in order to achieve a full life. If we want our children to lead a meaningful and happy life, we must provide them with the necessary tools to do so. We must teach them how to be as independant as possible and we must be willing to let go. A Full Life with Autism helps make that possible. Disclosure: a complimentary copy of A Full Life with Autism was provided to me by Palgrave Macmillan. All thoughts and opinions are my own.